Manchester Town Hall Police Office King Street. Cavendish St Town Hall - Chorlton on Medlock. Great Jackson St (Park Place) Town Hall Hulme. London Rd/ Brook St, - Piccadilly. 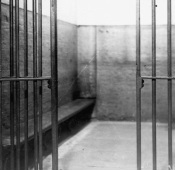 Table 4 Prisoners at Manchester Police Stations 1897 - 1898. Table 7 Manchester Rateable Values 1839 -1901. The police was just one of Manchester’s public services vying for limited funds. Whether it was the initial paving and sewerage or public parks of the first half of the century or the emergence of reforming social services in the later half, the expenditure of rates were under constant council committee review and public scrutiny. The effects on the pay and conditions of the police have been demonstrated in other sections [see Police Personnel - A Policeman’s Lot ] but this section will compare the level of design and expenditure on the police estate to other comparable council services, particularly the public baths and wash-houses. The reason for selecting this specific public service for comparison over say parks, cemeteries and other utilities was the required use of a substantial building, especially aimed primarily at the working class, and one where the design and function of the building indicated the civic aspirations of the Corporation. Other institutions such as the public libraries also fit these criteria and they certainly were an institution wreathed in civic pride. Manchester was one of the first boroughs to adopt the Free Libraries Act of 1850. 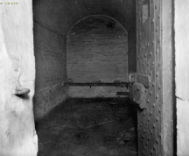 However, as their expenditure was restricted by the Act to a ½d in the £1 rate and their introduction was overwhelmingly endorsed by the Manchester ratepayers, a more controversial expenditure has been selected with the comparison of the baths and wash houses against the police estate. The first point of comparison is one of ownership. It can be seen from the WC minutes that there was a policy of renting private but converted buildings prior to 1860. Police stations were acquired and rented as needs arose and as in the case of station houses in the outer districts the policy proved cost effective when sub-let to residing police officers. However as the establishment increased and stations grew significantly in size and operational ability the Corporation purchased the land and constructed buildings free from increasingly expensive rents and leases, and in so doing acquired valuable assets. In this they were greatly assisted by low interest Local Government Board capital grants under the 1875 Public Works Loans Act. The first four public baths, which provided slipper baths and laundries and later bathing pools, within Manchester were privately owned not municipal buildings. Fig 17 shows that the first slipper bath and wash-house, to combat the spectre of cholera, was opened on Miller Street in 1845 after a fund-raising ball at the Free Trade Hall. The 1848 OS map of New Cross shows the building’s interior layout. One significant issue for such a public charity, a stone’s throw from Angel Meadow, was the provision of a ‘1st class washing room’. This social division continued into the next century albeit that the baths were generally located in the heart of the city’s poorest districts. Figure 7 Map of Miller Street baths enlarged. The second bath and wash house was on Sycamore Street, Miles Platting and was designed cheaply by the joiner Marmaduke Bunnell and cost £2,000 from 1849. This was paid for by Sir Benjamin Heywood (Unitarian Banker) and provided 23 baths and 45 wash tubs along with a small wooden 27’ x16’ bathing pool. The venture proved a commercial success in this respectable working-class area. Manchester did not implement the Baths and Wash-houses Act 1846, arguably due to more pressing needs such as water supply and sewerage and the requirements of the 1848 Public Health Act. It was not until 1876 that the Corporation purchased the private baths and laundries company though their initial design and cost would set a benchmark for the municipal projects that followed and are worthy of comparison. In 1854 Manchester’s leading reformers supported by the Manchester and Salford Sanitary Association formed the Manchester and Salford Baths and Laundries Company eventually raiseing £35,000 from 7,000 £5 shares. They selected the architect Thomas Worthington’s design for two premises. The first, Greengate Baths (1856) in Salford proved an instant success and was followed by Manchester’s Mayfield Baths (1857) on New Store Street near to London Road Railway Station. Both establishments cost around £10,000 each, and were comparable in cost and size to that of Albert Street PS in 1860. In both bath-house designs Worthington provided ornate Italianate façades, featuring an extensive double storey run of windows and doors with a long arcade coupled with elegant and finely detailed chimneys for the new boilers. The interiors were comparably detailed and provided extensive washing and laundry facilities alongside the public and class segregated pools. It was realised that the baths and wash-houses were needed to provide hygienic facilities and just like the police stations were especially required to be located in or near the poorest districts. So the next proposal was for even grander baths at Leaf Street (1860) central to the Hulme and Chorlton on Medlock districts. Here Worthington’s Italian travels and observations were given full reign and a refined Gothic or ‘polychrome Italian medieval’ style building was erected, updating that style used at Mayfield Baths. This time a 100 foot chimney was erected, ‘like the great campanile of Verona’ to service the latest Lancashire boilers and steam systems. These baths cost £12,000 and interest in their design, construction and commercial organisation spread across European cities. New Islington Baths Baker St (1886), Gorton Baths Hyde Road (1890), Whitworth Baths Ashton Old Road, Openshaw (1890), Newton Health Baths Oldham Road (1891), Cheetham Baths Cheetham Hill Road (1894), Red Bank Baths Axle Street, Strangeways (1896), Pryme Street Hulme (1904) before arguably the finest at Victorian Baths Victoria Park in 1906. A further thirteen baths would follow suit before the Second World War. One further aspect that compares favourably with the police estate is the gradual increase in their design and cost. There were financial returns on the bath and wash-houses to consider – but their management history was one of subsidisation in order to facilitate access for the poor. The penultimate police station of this study, Mill Street, Bradford cost £26,646 for the police, ambulance and fire stations in 1901. But all this would pale before the two show piece Edwardian public buildings: Victoria Baths in the suburbs of Chorlton on Medlock and London Road Fire Station in central Manchester by 1906. London Road Fire, Police and Ambulance Station and Victoria Baths and Wash-house are distinctive in their expenditure and design, being by far the largest and grandest institutions of their genre. The London Road complex was estimated in 1901 to cost £75,000 plus £25,000 for the site plus £10,000 for a new fire alarm system. It stood as the first major building seen by any visitor to Manchester arriving at London Road railway station and was designed by Woodhouse, Willoughby and Langham in a terracotta brick in an Edwardian Baroque style. Opened in 1906 it had cost £142,000. It was built to be the finest example of a fire station, along with the police and ambulance services. It also incorporated a grand Coroner’s Court, the Gas Testing Station and a bank. The first design even incorporated a swimming pool at £4,000. This building was far more a modern civic complex than a mere fire and police station. Victoria Baths was also in terracotta and designed by the Corporation architect, Henry Price, who also oversaw the building of London Road Station. It was completed in 1906 at the greatly increased price of £59,114. Much criticised at the time for its extravagant budget, but with its committee rooms and accommodation was conceived as the headquarters of the city’s Baths Services. It stood like the fire station as a testament to Manchester’s municipal ambitious pride and capabilities. However prior to these two Edwardian buildings, it is necessary to consider one vital difference in the designs of these two public utilities within the Victorian era. Worthington was undoubtedly a master architect with numerous examples of his talents throughout the North-West. He had secured the commission of the first baths and the quality of his facades and interiors expressed the obvious civic pride of the patrons and the wider city. These were regarded as palaces where the poor could wash their clothes and bodies in style compared to their modest homes. The police estate was a different matter entirely. In contrast the Victorian police stations grandeur lay in their bleak austerity and display of power and purpose. No ornate finishes or expensive tiling graced their exteriors. Their purpose was to secure the Corporation and its residents from the threat of crime and disorder not to please the eye. They were working buildings designed to withstand a riot externally and the violent criminals, inebriates (and the officers) internally. Evidence of the lack of any embellishment for the police estate is revealed in the absence of any architectural competition for their design in Manchester. The Builder was the magazine in which the major architectural commissions were advertised in Victorian Britain, and it is significant that Harper’s (1983) index of these competitions has no listing for any Manchester police station. However, the Assize Courts, Town Hall, Minshull Street Police Court, and many of the bath-houses are listed within its pages. It is accepted that London Road Fire and Police Station did warrant a competition, however it should be noted that the police station was not part of the first design brief and in the final designs formed a small rear section of the overall building. This is not to suggest that civic pride was not evident in Manchester’s police. 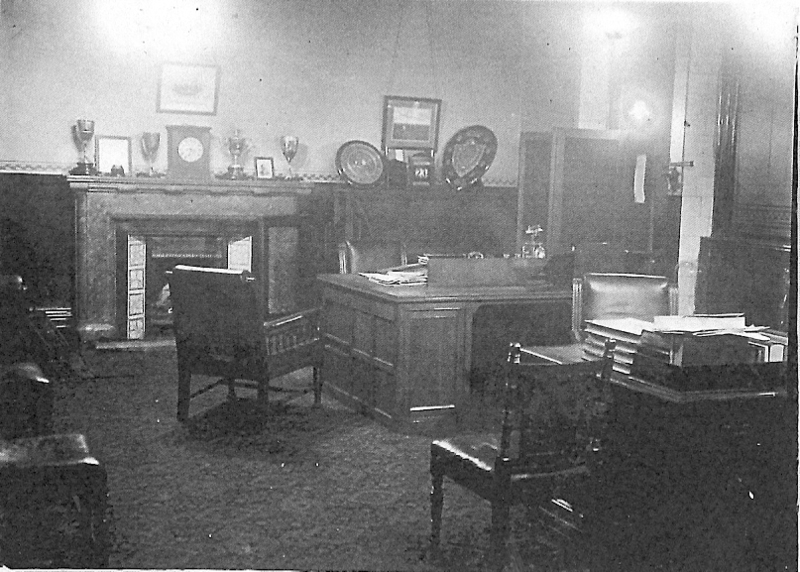 On the opening of Manchester’s grandest building in 1877 the great and the good on entering the new Town Hall were treated to a tour of the opulent interiors, including a trip to the Chief Constable’s sumptuous office [Fig 8] and the substantial police station and modern cells in the courtyard. Here, the Aldermen and Councillors proudly demonstrated their municipal power and purpose to control and command this most successful and peaceful of provincial cities. Albeit after Salford whose library was established under 1845 legislation. 99% of voting ratepayers endorsed the proposal in Manchester. A. Briggs, Victorian Cities, (London: Penguin, 1990) p.136. During the building of Willert Street PS in 1877 the building materials from the land clearance were provided free to assist the building of the Free Library in Harpurhey. Watch Committee minutes 21 Nov 1877. See Albert Street PS WCM for detailed expenditure on acquiring the land in 1860 and also Newton St PS in 1900. ‘City to Surveyor to prepare an estimate for the purchase of land, erection of new police station [Newton St PS] and enlargement of the hospital and accommodation in the city gaol over the next year. The Town Clerk to obtain a loan at 3.5 per cent under 38. 39. Vic c.89’ WCM, 25 Nov 1875. P. Williams, Victoria Baths: Manchester’s Water Palace, (Reading: Spire Books, 2004) p.16. 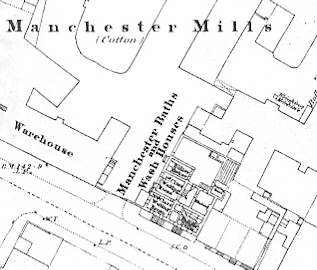 OS Maps, 1848 Manchester Sheet 24 1 yd : 1 mile. A.J. Pass, Thomas Worthington: Victorian Architecture and Social Purpose, (Manchester Literary and Philosophical Publications Ltd, 1988) pp.74-5. Pigot’s & Slater’s Street Directory of Lancashire, 1850 http://www.historicaldirectories.org 01.03.2013. C. Love, ‘Holborn, Lambeth and Manchester: Three Case Studies in Municipal Swimming Pool Provision’, International Journal of the History of Sport, 24 (May 2007) p.635. ‘Proceedings of the Baths and Washhouse Committee’ 3 Jan 1878 held at the Manchester County Records Office as detailed Love, Three Case Study p.635. Listed at the ‘Baths and washhouses Historical Archive including individual links to the Manchester Local Image Collection. http://www.bathsandwashhouses.co.uk/archive/your-local-buildings/manchester 04.02.2013. Love, Three Case Studies, pp.637-9. WCM 1900 -1902 as listed on the Mill St PS page. WCM 4 Jan 1900 & 11 April 1901. R. Bonner, Manchester Fire Brigade, (Manchester: Archive Publications, 1988) p.56. They were subject to the usual tendering system but this was invariably decided by lowest price with no mention of appearance WCM 1838-1902. R. H. Harper, Victorian Architectural Competitions: An index to British and Irish Architectural Competitions in ‘The Builder’ 1843-1900, (London: Mansell Publishing, 1983). Reproduction of the opening pamphlet from the original William Morris Press Ltd. (Manchester: City of Manchester Press, 1977). Copyright @ Mike McCulloch www.victorianpolicestations.org.